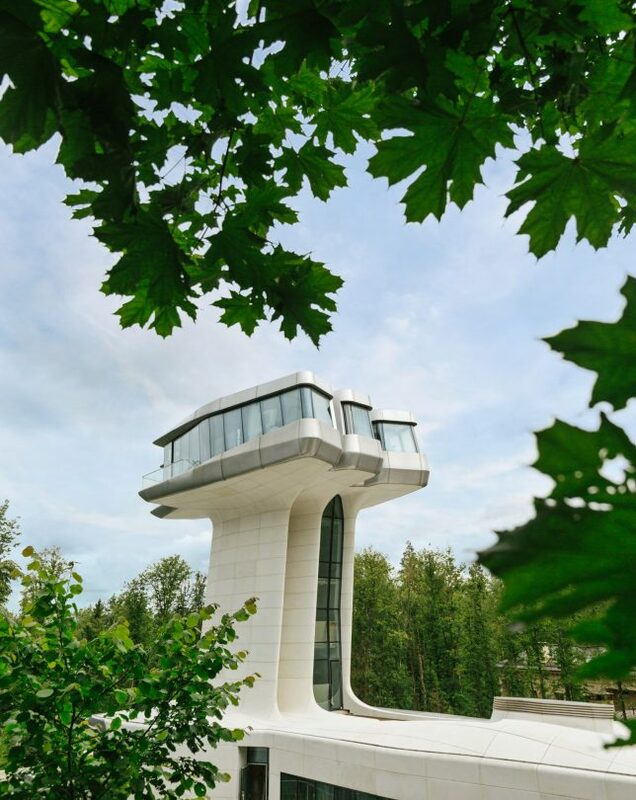 Known for designing dynamically curved structures in cities, Zaha Hadid’s only single-family residential project is certainly aligned with her signature style but also reacts to a very different and much more remote, natural and green context. At the pinnacle sits the master suite, rising above the Russian forest canopy over 60 feet above the ground. Its glass walls and dual balconies were designed to give residents stunning views of the landscape. 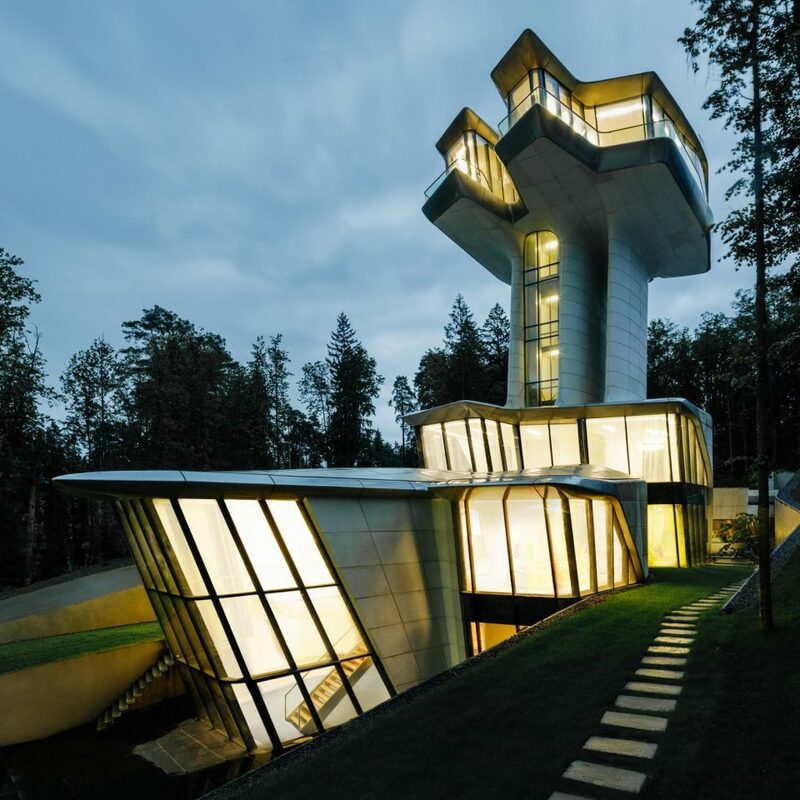 It sits at the top of a support stem housing a glass elevator (to enjoy the surroundings riding up and down). 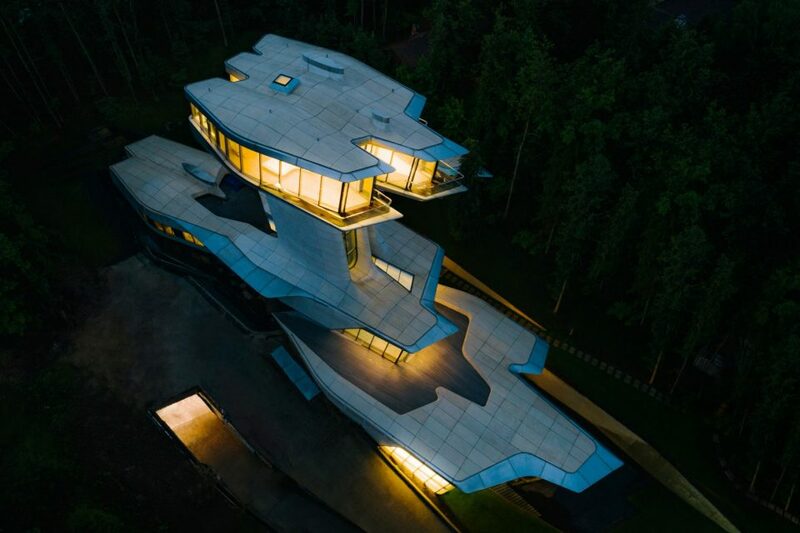 The client recalls telling Hadid about his dream home: “I want to wake up in the morning and I want to just see blue sky. I don’t want to see any neighbors and I want to feel free.” Realizing this would mean the building would have to reach above the trees, she quickly sketched out the concept. The final structure, though, would be a complex one, richly and three-dimensionally expressive. Below, a series of flowing volumes with wide roofs make up the majority of the home, with living spaces, swimming pool, lounges and kitchen on the lowest floor, a level embedded partly below ground. Guest quarters, childrens’ bedrooms and a library are located a floor above, as well as the main entrance. This is a once-in-a-lifetime type project for an architect, being given a high budget and a lot of creative freedom. And it shows. 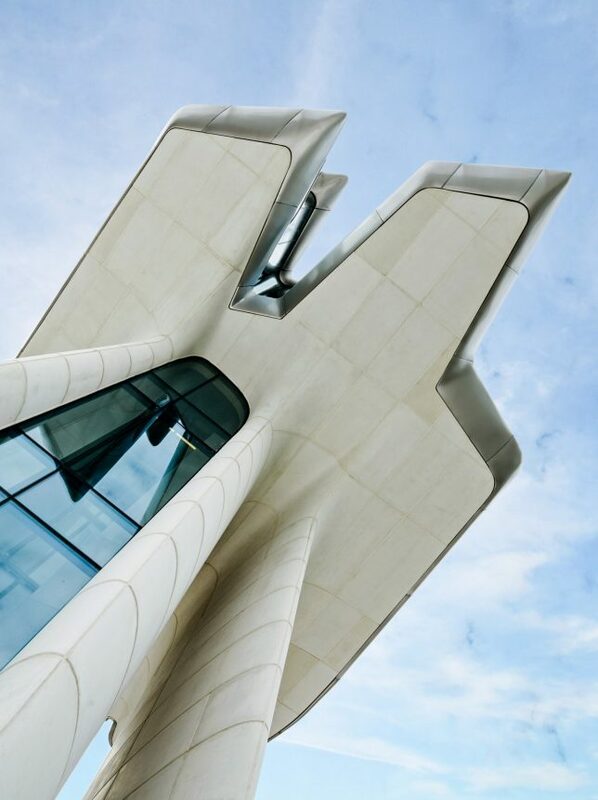 “This project is an absolute testament to Zaha’s genius. This is a masterpiece. 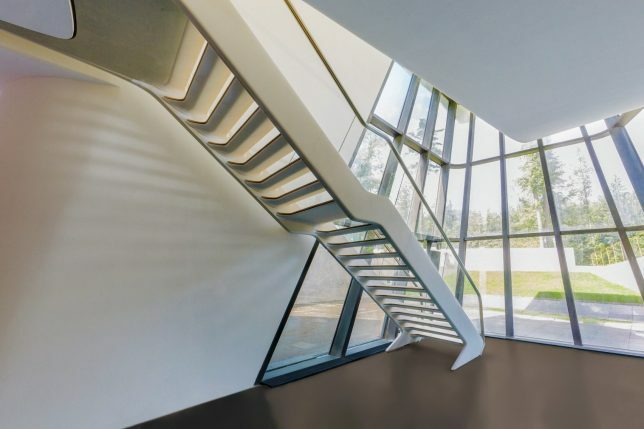 It has Zaha’s signature features of organic intricacy, complexity of spatial arrangement, a lot of surprises, and a lot of craftiness and beauty.” (Images courtesy of the OKO Group).